Yesterday, the House Ag Committee released their first draft of the next farm bill, which when passed will be in place until 2023. 1. The House Ag Committee releases their draft. 3. The amended draft goes to the House floor to be voted on. At this stage, any member can introduce an amendment which will then be voted on. 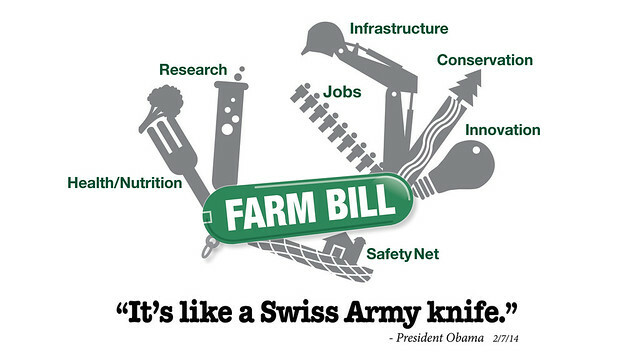 Once this process is completed the House will vote to pass a revised version of the farm bill. 4. After the House stage, a similar process will be followed in the Senate. 5. The final stages of passing a bill into law include the conference committee before the final vote. Every stage of the process that has just begun is important, if you have any objections to any proposal in the current draft, or indeed if there are certain elements that you support, now is the time to make it known to your House representative. If you do not know who your representative is, find them HERE and give them a call to let their office know what you are thinking. Democracy cannot work unless you make your voice heard, so pick up the phone and give them a call! !